In the warrior ethos that permeates sports, athletes sometimes shake off injuries and stay in the game. It’s considered a measure of toughness. It also is the worst step a concussed athlete can take, according to UF Health researchers who have found that immediately getting medical care reduces concussion symptoms and ultimately gets the player back in action sooner. An analysis of 506 sports-related concussions among college athletes in 18 sports found that those who ceased their activities once they were injured missed about three fewer days of competition than those who delayed reporting their injuries. Prompt reporting also reduced concussion symptoms by two days and decreased the likelihood of missing more than two weeks of sport participation by 39 percent. The findings were published online in The American Journal of Sports Medicine. While current guidelines call for athletes who suspect they have a concussion to immediately stop playing and get an evaluation, this and other studies have shown that as many as 60 percent of them don’t disclose their injury or stop playing right away, for a multitude of reasons. 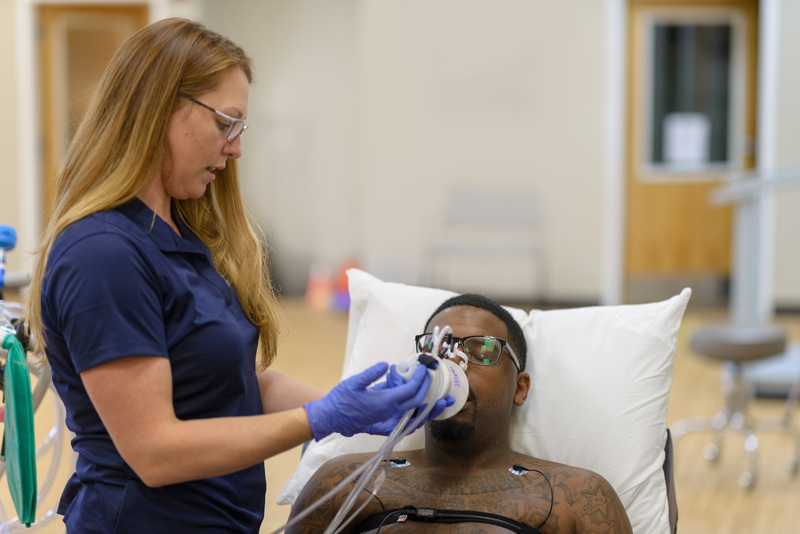 The findings make clear that athletes who “tough it out” are actually delaying their recoveries, said James R. Clugston, M.D., a UF College of Medicine associate professor and UF Athletic Association team physician. “We’ve always had concerns about athletes hiding concussion symptoms. This gives athletes greater incentive to be more frank in letting the sports medicine staff know that there may be something wrong. The sooner you tell us about concussion symptoms, the sooner you get back to your sport,” he said. To establish their findings, Clugston and his collaborators analyzed concussion data from August 2014 to September 2016 among athletes at 25 universities and military service academies involved in the National Collegiate Athletic Association and the Department of Defense’s Concussion Assessment, Research and Education, or CARE, Consortium. After controlling for other factors in a statistical model, they found that lost competition time and the duration of concussion symptoms were directly related to when athletes stopped their activity. “It’s important to recognize and report concussion-related symptoms immediately. The faster you allow a medical team to make a diagnosis, the better your chances for a shorter recovery,” said Breton M. Asken, a doctoral student in the UF College of Public Health and Health Professions and lead author of the paper. The findings also apply to more than just football: Concussion-related data from college athletes in sports such as swimming, softball, tennis and field hockey were part of the study. Clugston said the findings also suggest it is important to have someone available during sport activities to whom athletes can report potential concussion issues. “Coaches are getting better at recognizing concussion symptoms, but it’s not fair to put it all on them. Athletes need someone like a certified athletic trainer to do an evaluation and decide whether or not they should be removed from competition,” Asken said. Younger athletes might also benefit from exiting competition at the first sign of concussions, the researchers said. While the findings establish the value of stopping physical activity as soon as concussion symptoms appear, researchers don’t know exactly how or why that benefit occurs. Studying that in humans is difficult because directly and prospectively studying these mechanisms would essentially require knowingly allowing some athletes to continue competing with concussions, Asken said. Better, earlier awareness of concussion symptoms allows players to avoid exposing the injured brain to more impacts and exertion during the “window of vulnerability” thought to occur after a concussion, the researchers concluded. It also lets athletes get a jump on their recovery, Asken added. Ideally, an athlete who feels the effect of a force to the head would immediately quit their game or practice, get evaluated and rest for 24 to 48 hours. “Then, in a very supervised and controlled way, they might be able to go back to physical exertion,” Asken said.